Come take a tour of our apartment rentals in Redmond. 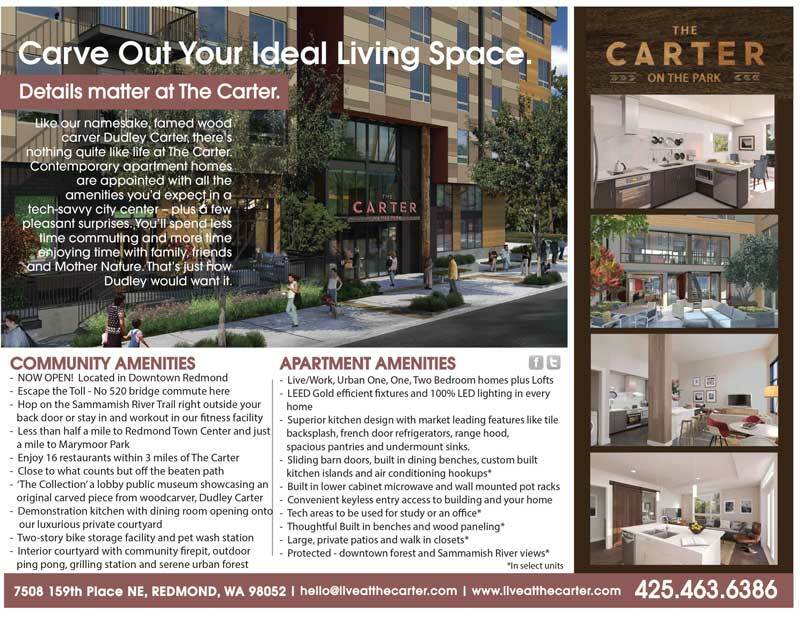 The Carter on the Park is our brand-new, recently completed apartment building located in the heart of downtown Redmond. You’ll love being able to come home to your new apartment equipped with all of the upgraded amenities that matter to you like updated kitchens with stainless steel appliances and quartz countertops, hardwood flooring, and private patios. As a resident, you can also enjoy our community amenities such as our state-of-the-art fitness center or you can relax and read a book at our rooftop escape, THE ROOK. All of our floor plans consist of an open layout with options of either one- and two-bedrooms and also a live/work space as well. Our convenient location means you’ll be able to get out do the things you enjoy doing. Whether it’s shopping, finding new, unique restaurants for a bite to eat, or just getting outside and enjoying nature, you’ll find a variety of activities just steps away from your new apartment in Redmond, WA. 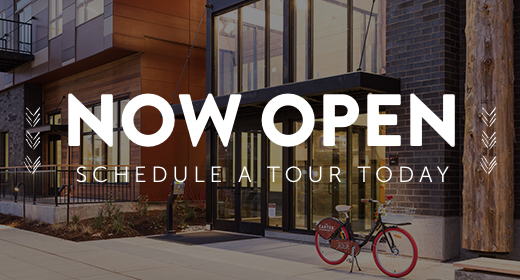 Don’t hesitate, fill out the form below to secure your spot for a personal tour today and find the apartment you’ve been searching for.